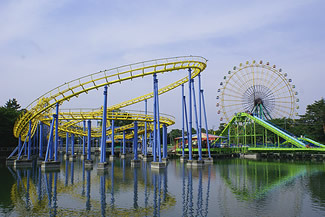 Kezouji Amusement Park is run by the City of Isesaki and offers free admissions. The usual rides, including a Ferris wheel, roller coaster, and merry-go-round, are all in place. Ride tickets cost from JPY70 to JPY350. Seasonal flowers bloom all year round, and people visit the park just to appreciate them. Conveniently located in central Isesaki, it's liked by men and women of all ages.